Whether it is for our families to enjoy or the neighbors to envy, we all want beautiful yards surrounding our homes. However, installing and maintaining attractive landscaping can be quite expensive, and keeping your yard looking beautiful can be time consuming. This deters some folks from investing in the yard of their dreams and keeps others busy for hours every week when they would rather be partaking in more enjoyable activities. It is possible to have the yard of your dreams and still have time to enjoy it. 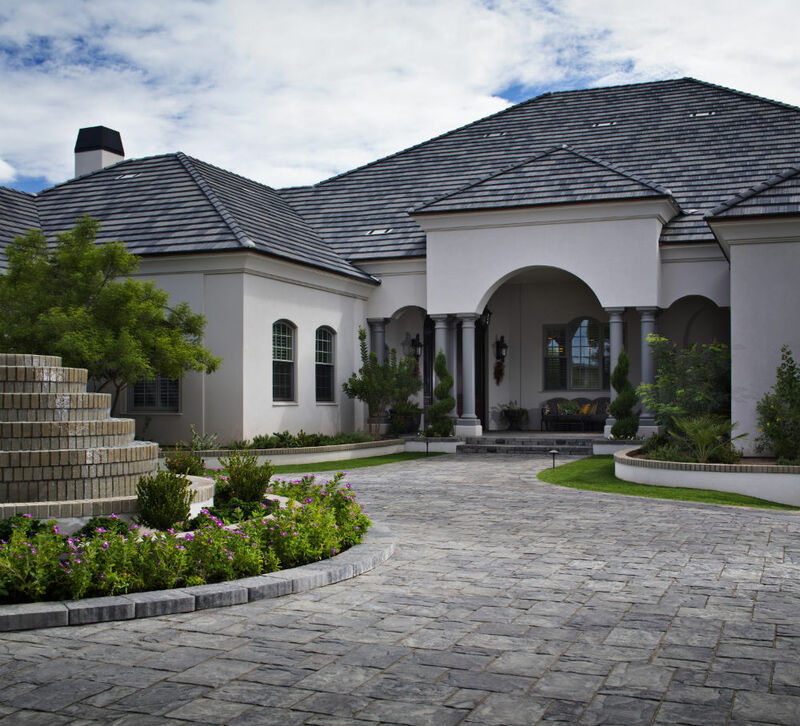 There are two key components in saving time on maintaining a beautiful, healthy, well-groomed yard. The first integral component in successfully saving time on yard care is implementing a low-maintenance landscaping design for your yard. The second is to focus on prevention to avoid time-consuming maintenance issues, repairs and overgrown landscapes. If you are starting from a bare yard, you have the perfect opportunity to design landscaping that suits your needs, fits your budget and will save you time in the long run. If this is the case, then take the time to carefully plan the layout and design of your landscaping and to select plants, shrubs and trees that are low maintenance. If you are starting from a yard that was landscaped and designed by previous owners or a builder (like most of us) then take steps to transform your yard into a low-maintenance landscaping paradise by making small changes as you have time and can afford them. Here are 10 tips to consider when creating a landscape design that will be low maintenance and that will thrive with little time-consuming care. 1. Consider installing a sprinkler system with a timer or a drip system for watering your flowers, plants, shrubs and trees. Having a sprinkler system on a timer will save time you would spend watering your yard and will even save time over going outside to turn on the sprinklers, monitor their watering, and then shut them off. A drip system is another great way to save time (and money and water) while ensuring that your landscaping plants always have the water that they need. 2. Use native plants, grasses, shrubs and trees whenever possible. Plants, grasses, shrubs and trees that are native to the area where you reside will require less water and less care than exotic or non-native plants. You do not have to love cacti or have the urge to fill your flowerbeds with succulents to have a low-water, low-maintenance yard. There are plenty of native options that look very similar to some of the most popular landscaping plants and will bring color, texture and visual interest to your yard. Lawn care is expensive and time consuming. Limit the amount of grass in your yards, and you will save money on water and lawn care products while saving hours on mowing, trimming edges, weeding, fertilizing, aerating and feeding. 4. Remove your lawn and install a low-water, low-maintenance alternative. Lawns may still be the standard in many neighborhoods, but there is a growing trend towards grass-free landscaping. This is particularly true in Southern California where drought conditions are becoming the norm, and residents really must take part in water-saving measures to do our part to conserve water. In states like ours, one of the biggest steps homeowners can take is removing their water-hogging lawns and replacing them with low-water alternatives. Many of the homeowners who still have their lawns and balk at making this change simply do not know that there are plenty of options that require little or no water and can still bring fantastic color and texture to their yards. Lush, green artificial grass, multi-colored decorative gravel, warmly hued wood chips and beautiful patios made from paving stones are all examples of lawn alternatives that require no water and will keep your yard looking beautiful with much less maintenance. 5. 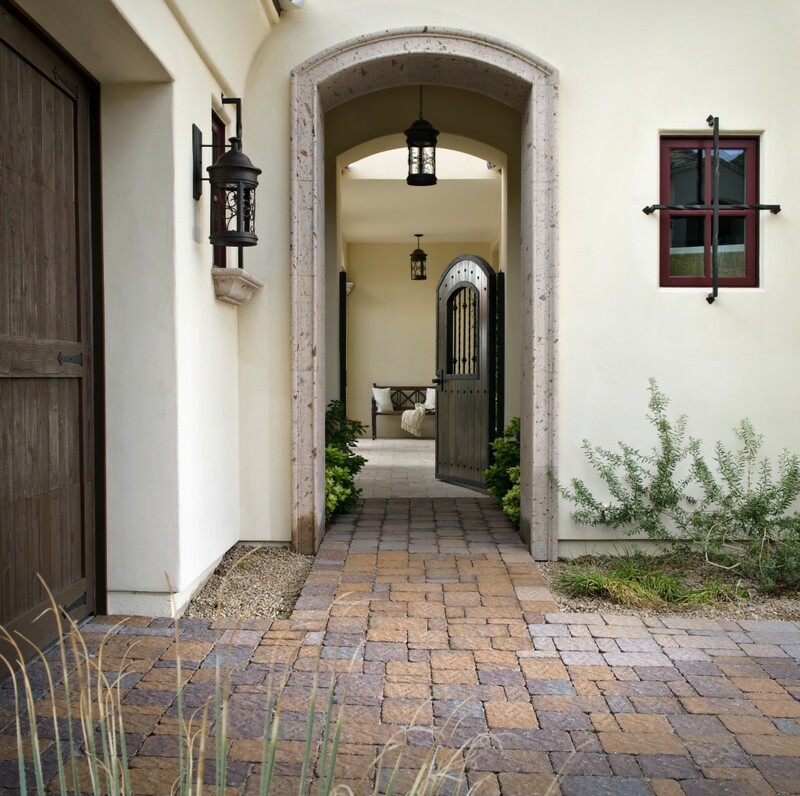 Design your landscape to include pathways, borders, garden walls and patios. This may take more time during the design phase (for new landscapes) or the transforming phase (for existing landscapes), but in the long run you will save time (and money) by creating an interesting landscape that requires less care. 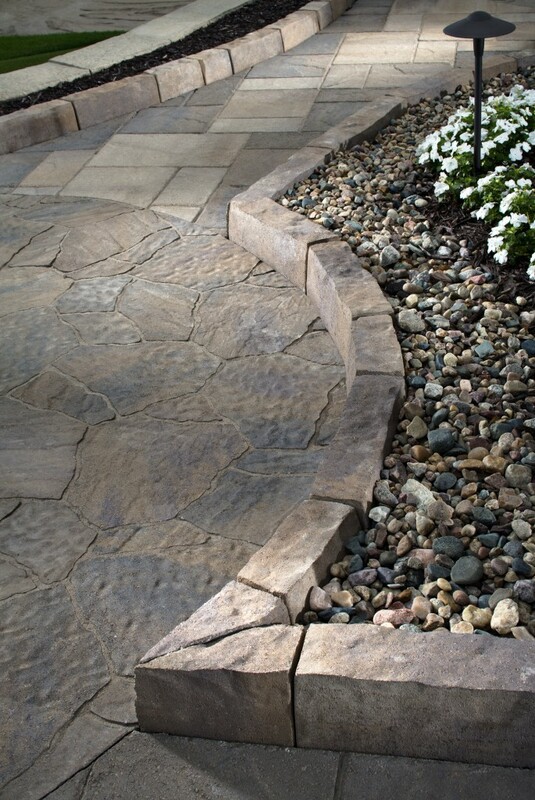 Paving stone walkways, covered patios, gravel paths and other hardscape choices help limit weed growth, add visual interest to your yard, provide usable outdoor living spaces and require very little maintenance. Not only will these hardscape options help you limit or avoid a time-consuming, water-wasting lawn, but they will also help you save even more time by limiting the need to pull weeds or spray weed killers and the need to tend to plants that may have otherwise been in that area. 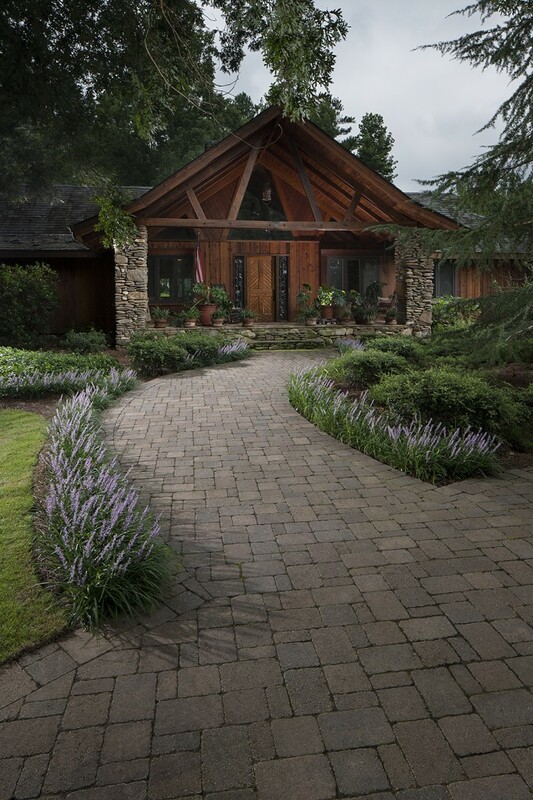 River rock garden walls, paving stone patios and gravel walkways are among the lowest-maintenance choices, but you do not have to design a stone-centered landscape to save time on yard work. For example, a wood deck requires more care than a paving stone patio, but requires much less care than a natural grass lawn. 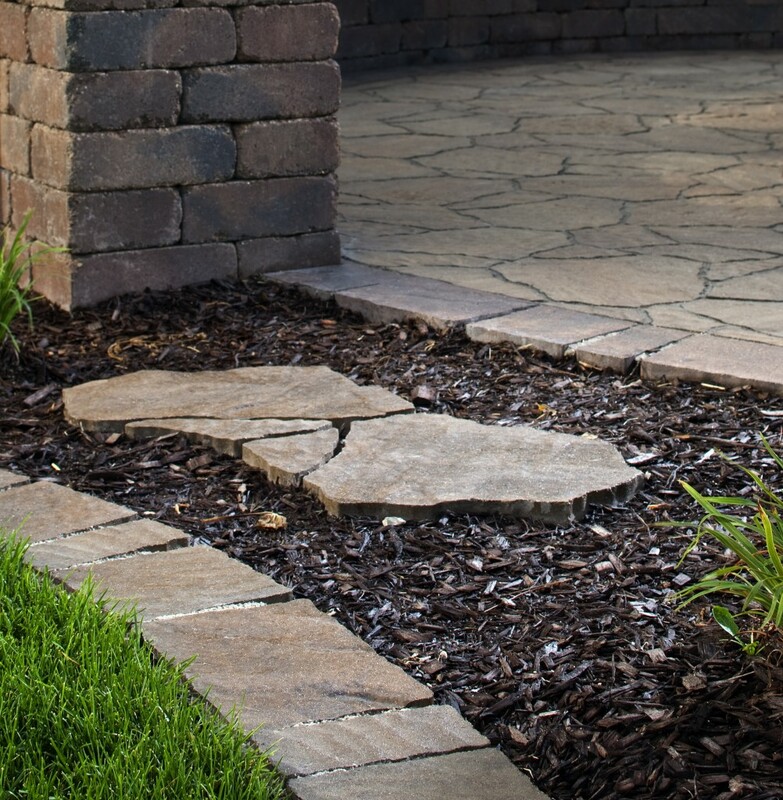 River rock or paving stone borders are other hardscape options that give your yard a cleaner look and will help keep plants and shrubs where they belong in your flowerbeds. This will help to keep your yard looking great with less time and effort on your part. 6. Select low-maintenance plants, grasses, shrubs, flowers and trees. Take the time to do a little research and find landscaping plants, grasses, shrubs, flowers and trees that require little to no pruning, are weed and pest resistant and require minimal care. This may or may not include native plants (as recommended above), but even carefully chosen, non-native plants can help you save time if they require less pruning and care than some of the more common exotics found at garden centers. 7. Consider going with a plant-free landscape design. Most homeowners want at least a little greenery in their yards, so plant-free landscaping is definitely not for everyone. However, it is one way to immediately cut your water bills and the time it takes to take care of your yard. If there are no plants or flowerbeds to water, weed, prune or tend to, you will automatically save the time you once spent completing these tasks. If going completely plant-free sounds a bit too harsh, just keep in mind that the fewer living things you have in your yard, the less time you will spend taking care of a living landscape. 8. Add texture and color with low-maintenance ground covers. Tumbled glass, sand, pea gravel, wood chips, bark, beach pebbles, rubber mulch, drainage rock, mulch and decorative ground covers are all low-maintenance, no-water ground covers that will add texture and color to your yard with very little required maintenance. If you prepare the ground with chemical-free herbicides or landscaping fabric before laying down these ground covers, you will save even more time by limiting necessary weeding. For the most part, any maintenance required with these ground cover options will include pulling a few rogue weeds that may find their way through your weed cloth, removing leaves that may fall from nearby trees and refreshing your ground cover with new materials every once in a while to keep it looking its best. As mentioned in the above tip, landscaping fabric is a must-have product for homeowners who want to save time on yard work. Regardless of what your landscape design entails, anything that is not covered with solid hardscaping (like a walkway or a patio) should be covered with landscaping fabric to limit weed growth and help you avoid spending hours pulling weeds. 10. Have a place for everything, and keep everything in its place. Incorporate storage into your landscape design to help you save time on regular yard cleanups. If you include a simple shed for your garden tools and a storage box for patio cushions and small necessities, you will have dedicated spaces for these items. If you consistently put things away when you finish using them – and can convince your family members to do the same – you can save time by avoiding the need to set aside time to de-clutter your yard and put things away after they have been left out. Additionally, yard tools, toys and patio cushions that have been left out will likely need to be cleaned before being put away, which wastes even more time. If you simply incorporate storage for these items into your landscape design, you can save hours every year. Weeding, watering, raking and mowing are maintenance issues that are hard to avoid and can take up hours of your time. Save time (and money) on landscape maintenance with these tips for preventing maintenance issues and limiting the time required to care for your yard. Aside from low-maintenance ground covers, such as mulch or gravel, you can also take other measures to prevent weeds naturally. This can include placing landscaping fabric, old blankets, fabric, newspaper or trash bags under your ground covers. It might also include spraying the soil with vinegar or sprinkling salt on bare patches of earth. Keep in mind that both vinegar and salt can also be harmful to desirable plants, so these methods should only be used where you do not intend to plant. 2. Stay on top of it. It takes less time to pull one or two weeds as they pop up than it will to weed your entire yard once they have taken over. When you see a weed, pull it. Do not wait until there are hours of weeding to be done. The same goes for trimming branches and other small yard tasks. It takes much less time to trim a single branch when it starts to hang over your walkway than to cut back the tree once your walkway is blocked. 3. Set up a watering system. A sprinkler system on a timer or a drip system will water your landscaping for you and will limit dry spots and dying plants that you would otherwise have to take the time replace or to nurse back to health. 4. Prevent mosquito infestations in your water features. Managing a mosquito infestation can be a time-consuming (and annoying) task, but you can prevent infestations from happening by adding about a teaspoon of dish soap for every gallon of water used in your water features. 5. Put erosion and runoff control measures in place. Prevent potentially expensive and time-consuming mishaps by implementing erosion and runoff control before they become a problem. If you are concerned about erosion or runoff issues on your property, you may want to read this post on How to Control Erosion and Runoff. 6. Pay attention to potential maintenance issues. Part of preventing time-consuming repairs and maintenance issues is simply paying attention to what is going on in your yard. For example, if you see that your fence is in the first stages of starting to lean a little, nip that problem in the bud and stabilize it. It will take much less time and money to stabilize a slightly leaning fence than it will take to replace an entire section of your fence after it falls. We are sure you love saving time on yard work just as much as we do, so we would love to hear what steps you have taken to prevent time-consuming maintenance issues or to design a low-maintenance yard. What are your favorite ways to save time on yard work? Photos Courtesy of Belgard Hardscapes.